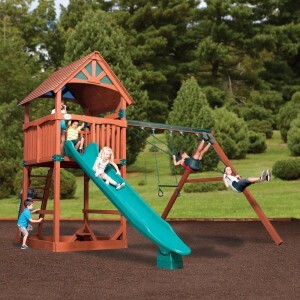 40% Off And $99 Installation Special On All Treehouse Series Swing Sets! Built For Kids and Adults! No Age limit. Please keep in mind that the Treehouse Series is customizable. 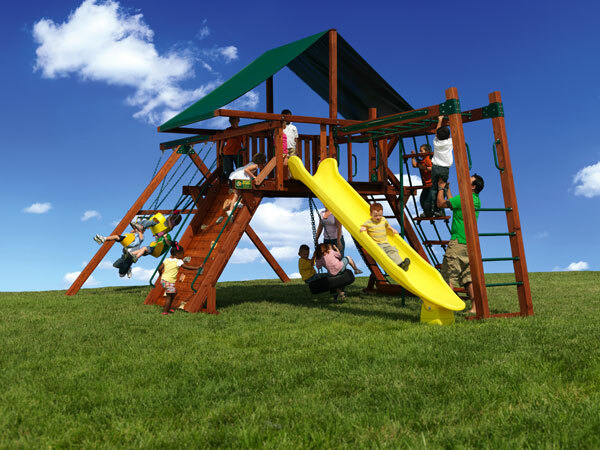 We can add and subtract to create the perfect swing set for your yard and family. Contact us for a free custom quote! 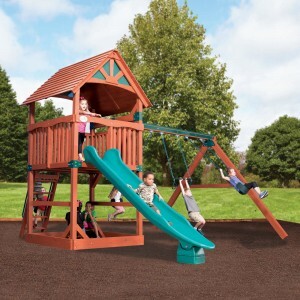 The Treehouse Series is our most popular line of play sets with unlimited possibilities! 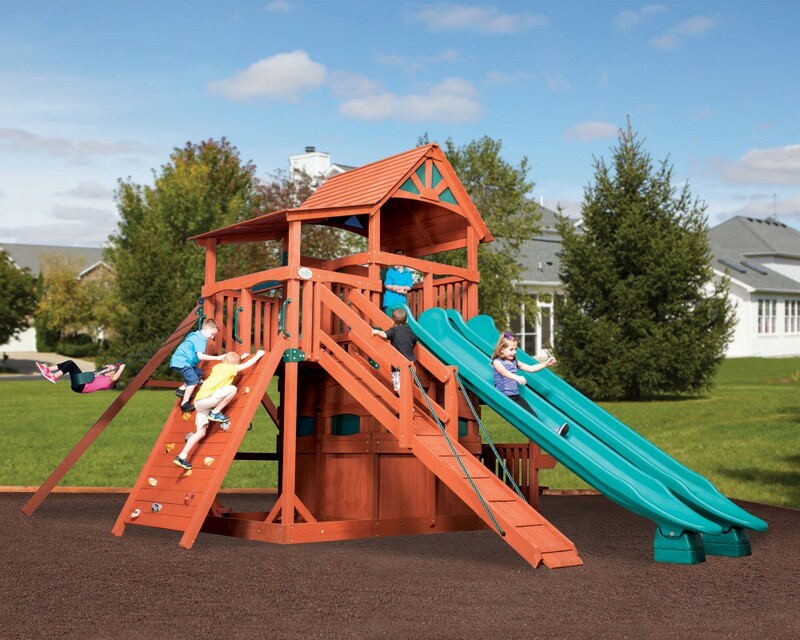 Treehouse play sets are designed for parents and children to play together. The Backyard Adventures Treehouse Series is the world leader in total value. Our Treehouse play sets have been tested for over 25 years and continue to live up to the expectations of families around the world. 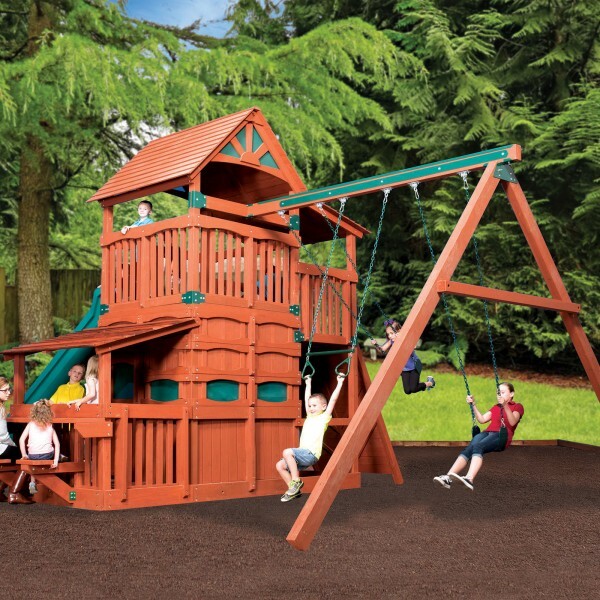 We’ve completely redesigned our Treehouse series to give you the highest quality, easiest to customize, best priced Specialty play set available. We’ve also incorporated our best engineering and highest quality materials into our Treehouse series. 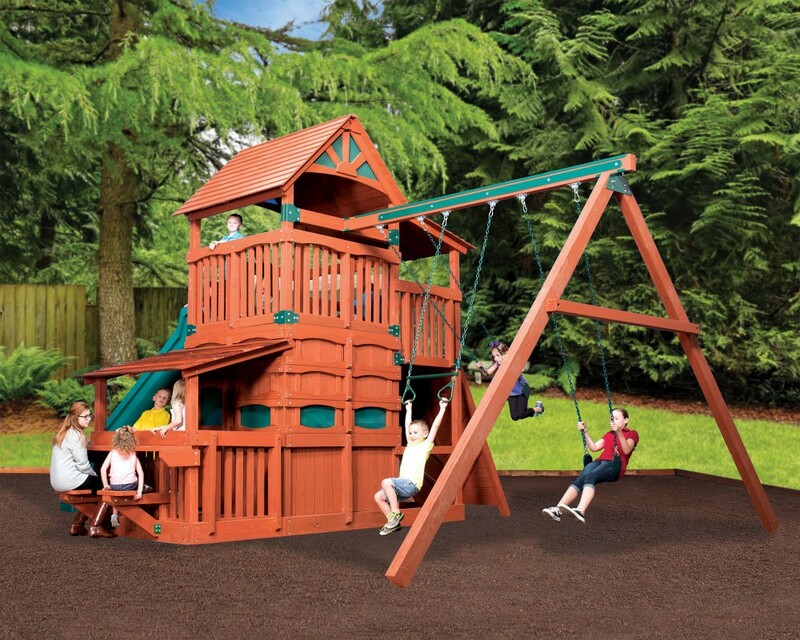 We use 100% cedar for long-lasting durability and back every Treehouse play set with our Limited Life-Time Warranty. Our all new 90 degree and in-line compression clamps are the strongest construction system and our clamps have been tested to be more than twice as strong as non-clamped joints. 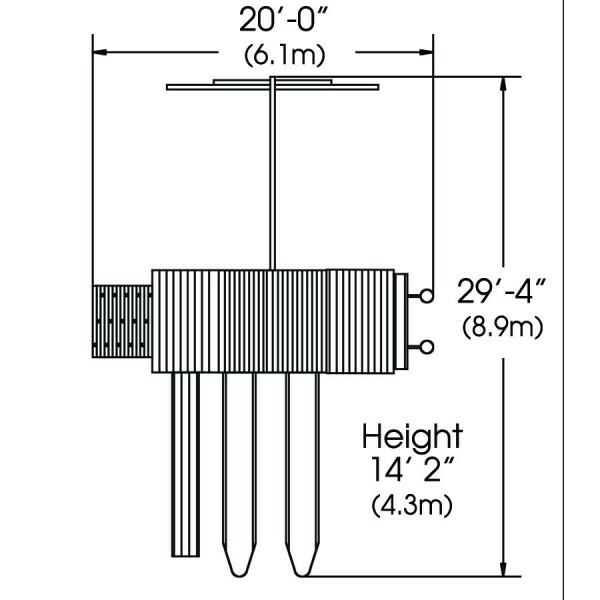 In addition, these compression clamps make it easy to add higher levels as your children grow.